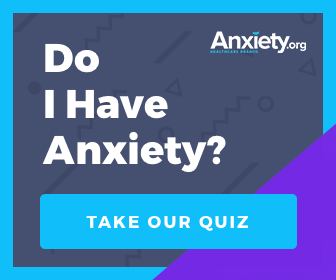 Psychologist Dr. Chloe Carmichael answers Anxiety.org readers' questions concerning social anxiety and panic attacks. 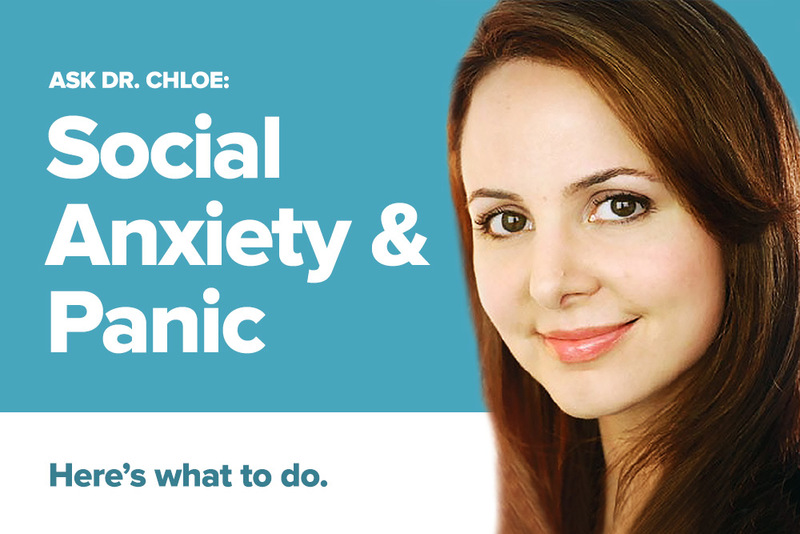 This week on Ask Dr. Chloe, she answers questions about social anxiety and panic disorder. My wife suffers from social anxiety disorder. So, I'm the one who does the grocery shopping and takes the kids to social events. I can't help but feel like I'm excluding my wife from family activities. How can I help her overcome her fears of going outside or into social settings? How can I make her feel like she's a part of the family even when she's too anxious to drive to school and pick up the kids? I want her to feel like I understand, even if I don't really. As a husband and a best friend, how can I convince my wife that I want to help? Sounds like you are shouldering a lot of responsibility! Please remember that you are not "excluding" your wife from family activities. The way you describe it, you are doing those things without your wife because they are important parenting duties that your wife feels unable to participate in. It is very important for both you and your wife that you not take responsibility for her behavior and feelings. I don't know your wife's situation, but I do know that when we take responsibility for someone else's feelings or behavior, we often end up sending a subtle message that suggests the person isn't capable of doing things differently. This can be counterproductive because it often risks enabling their fears rather than supporting them and allowing them to grow. What does her therapist suggest? Typical suggestions would include anything from using Skype or Facetime so she can "join" you, asking her to accompany you for a portion of the trip, or sharing your thoughts and experiences about the trip with her and telling her how much you wish she had been there to enjoy it with you. Your instinct might be to downplay the outside world since your wife is uncomfortable with missing out, but oftentimes the discomfort of remaining in isolation is one of the biggest motivating forces for people with social anxiety to face their fears and step into the world. I encourage you to get some input from your wife's therapist, and consider getting some support for yourself as well. When caregiving for a spouse with such issues, it is often best for everyone if the caregiver gets support as well. How do I make the time leading up to a social event less stressful? I feel like I'm the most stressed leading up to a direct interaction with a person. If I plan to go to lunch with someone, I am likely to stay up all night hyperventilating about it. But once I get there, things aren't so bad. The whole situation is frustrating, but I can't seem to get out of this cycle of feeling anxious. You are very close to answering your own question! You already know that once you arrive at the event you will relax and enjoy yourself. So, focus on that truth and awareness rather than your fears the night before. You might just be getting nervous out of habit, and sometimes changing a habit can be scary in itself. Do you fear that the extra anxiety is somehow protecting you, and helping you to stay "on your toes?" Sometimes the extra conscientiousness that comes with an obsessive seems to have secondary gains­–for example, maybe it spurs you to double-check the time and place where you're meeting your friend, remember to bring along something you borrowed, etc. The good news is that by realizing this, you can deliberately retain the habit of consciousness, but ditch the hyperventilation. Welcome the initial anxiety as a clue that you need to confirm everything is prepared. Once that's done, deliberately shift your focus to something relaxing, allowing yourself to feel confident that you have done everything you need to prepare. Sometimes, just realizing that you've been using excessive anxiety to prompt conscientiousness is enough to generate the insight that you can keep one and skip the other­–if you need more help with this, consider Cognitive Behavioral Therapy (CBT) or self-help materials. You might also be prone to interpret normal excitement as problematic anxiety. For example, you might be interpreting feeling "breathless with excitement" as "hyperventilating." Again, sometimes the mere insight that you've been mislabeling normal bodily sensations can dispel the anxiety; or you may find CBT helps to clarify further and change the cognitive habit. If you feel on-edge and don't know why, try journaling during those moments in order to go deeper into the source of your anxiety. What do I do when my significant other has a panic attack? I know she's suffering, but I just feel so helpless. Is there something I can do? Is there something she can do? The best way to help someone having a panic attack varies widely by person–some people may cling to you in fear, while others find that being touched only makes things worse. Have you tried asking your significant other how you can help? Also, you asked a great question regarding what she can do. She should put a few plans in place for what to do. Having a plan for what to do if she feels an attack threaten, as well as a plan for what to do if a full blown panic attack occurs, will make attacks feel less frightening, and may even help her avoid spiraling into an attack in the first place. There are two techniques that I recommend to many of my patients that suffer from panic attacks. I highly recommend getting professional help to learn these techniques. One is learning to re-establish control of jagged, gaping breathing that typically occurs during a panic attack because doing to can shorten the attack significantly. The second technique is using pre-designed thought replacement exercises. It's common for me to see new clients who say these techniques didn't work for them, but when I ask for more detail, I discover that their idea of "deep breathing" is actually a frantic gasp, or that their thought replacement is something like, "calm down." Gasping for air and admonishing yourself to calm down only makes things worse. Effective thought replacement statements, however, will differ for each person. But some healthy examples include phrases like, "I've seen my doctor and I know I'm safe," or, "I will be calm and quiet 5 minutes from now." Popular deep breathing techniques include things like the three-part breath or square breathing. Your wife could benefit from learning about these techniques and making a plan. The very act of making a plan and practicing it in advance will put her in the driver's seat as opposed to feeling like a helpless victim. It's great that you want to help, but please remember that your wife is the one who actually needs to take steps towards new skills. Your wish to help might relate to a wish to understand what she's going through and feel close to her. In addition to suggesting professional help or self-help materials, let her know you'd like to understand more about what's happening and be there for her. One way to do this is to ask questions about her experience. For example, do the attacks arise "out of the blue" or in certain situations? Does she have them only when you're around, or at other times? What has helped or hindered in the past? What do you experience when she's having an attack? Is she open to getting some support from a therapist or self-help material? If not, why? These questions will help you start an open dialogue and let her know you're there for support! Want more from Dr. Chloe? You can watch and listen to her talk about her answers in her vlog!